The Skull Bucket combines the classic, rugged styling of a traditional aluminum hard hat with innovative technology. Made from an aerospace aluminum, each Skull Bucket features key reinforcement areas for superior protection. The Bucket-Strap four-point ratchet suspension system ensures maximum comfort and a no-slip fit. Complies with ANSI Z89.1-2014, Type 1, Class C Standards. Made in USA. If you have any questions about this product by Skull Bucket, contact us by completing and submitting the form below. If you are looking for a specif part number, please include it with your message. 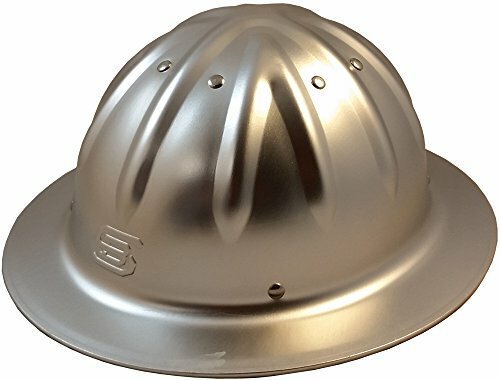 Honeywell K4529081 Kimberly-Clark Professional Jackson Safety Model F60 9'' X 15 1/2'' X .016'' Black Aluminum Bound Steel Mesh Wire Faceshield For Use With Headgear, 122.72 fl. oz.